Vodafone and CityFibre have confirmed that their partnership will bring full fibre technology to three new towns and cities in England – Cambridge, Leeds and Southend-on-Sea. The multi-million pound investment aims to bring full fibre to the premises (FTTP) broadband to one million homes and businesses by 2021. Unlike standard fibre technology, FTTP brings fibre connection all the way to people’s home and provide much higher speeds. Currently, the works to bring the technology to Milton Keynes, Peterborough and Aberdeen are underway. Work is also set to begin in Coventry, Stirling, Edinburgh, and Huddersfield later this year. 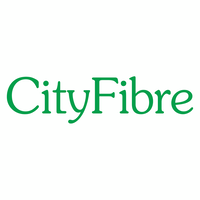 Greg Mesch, Chief Executive of CityFibre, commented: "The full fibre age is taking hold across the UK and CityFibre is leading the charge, Britain should prepare for a copper to fibre switchover as this aging technology cannot keep up with the UK’s connectivity needs."